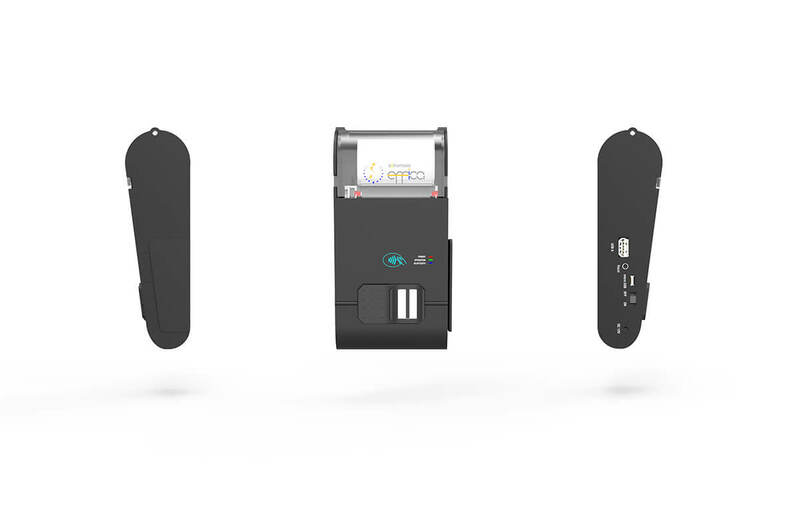 Effica is a compact and versatile Thermal Printer used in Biometric Identity validations, data commutations and transactions billing and printing. Effica has a 2” (inch) print format and connects to the printing source host via Bluetooth and/or USB. 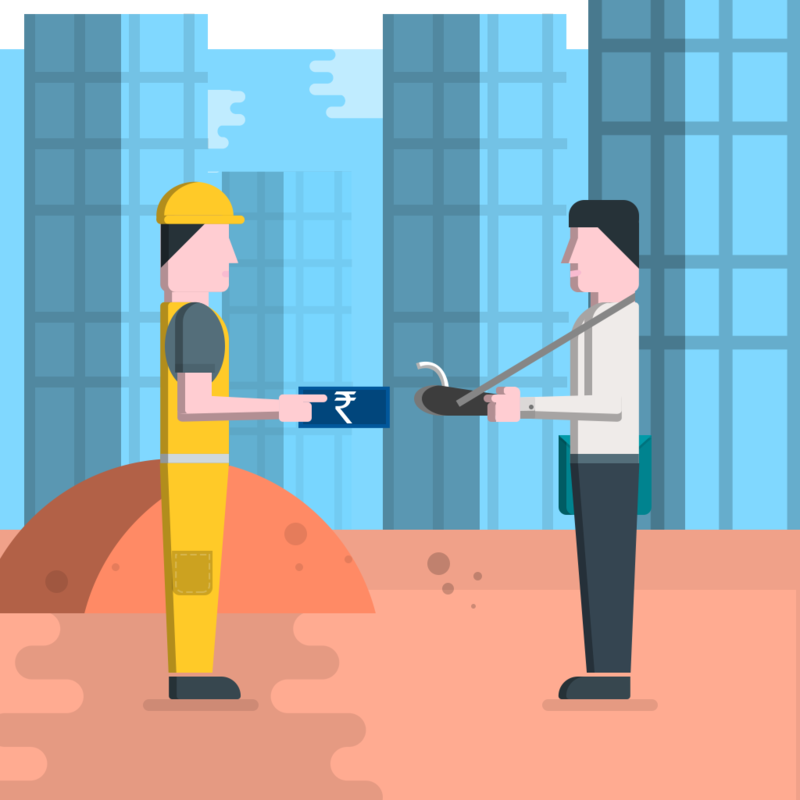 Effica comes with plug and play SDK for easy integration with Android or Windows hosts. 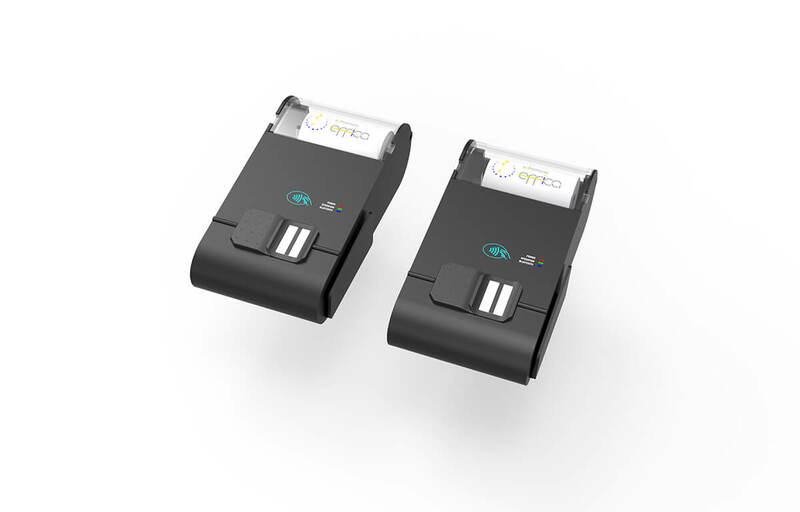 Effica also incorporates an STQC and UID certified Finger print sensor to capture and validate finger print data with Aadhaar Database. Effica also has the capability to acquire contactless smart card based transactions through NFC. Effica also provides a powered serial port and a USB host on board to integrate external peripherals like bar code scanner, keyboard etc. Any needed peripheral can be custom-integrated with Effica using the USB host interface. 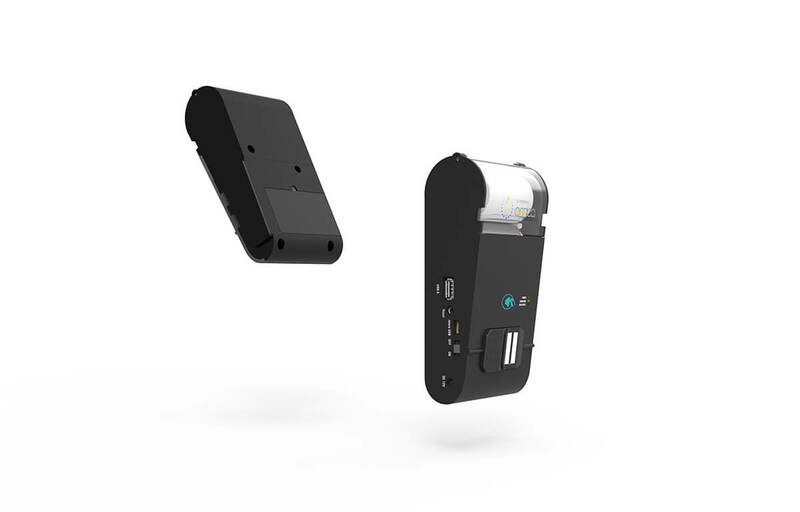 Effica is powered by a 7.4V, 2200 mAh Li-Ion rechargeable battery for long time usage in the field and carries a 9V 1A AC adapter for external charging. Effica Bio can be used with a point of sale terminal where consumer identity has to be validated prior to the transaction fulfillment. 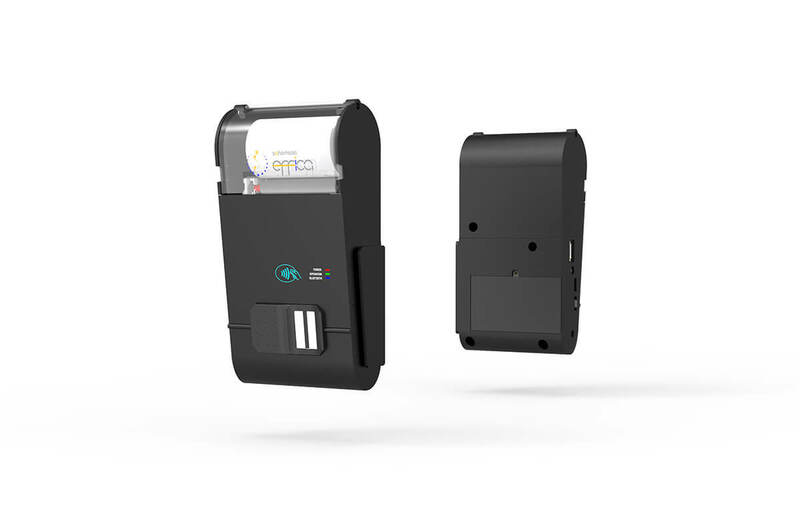 Effica bio enables identity validation through Finger print sensor and also through contactless smart cards. 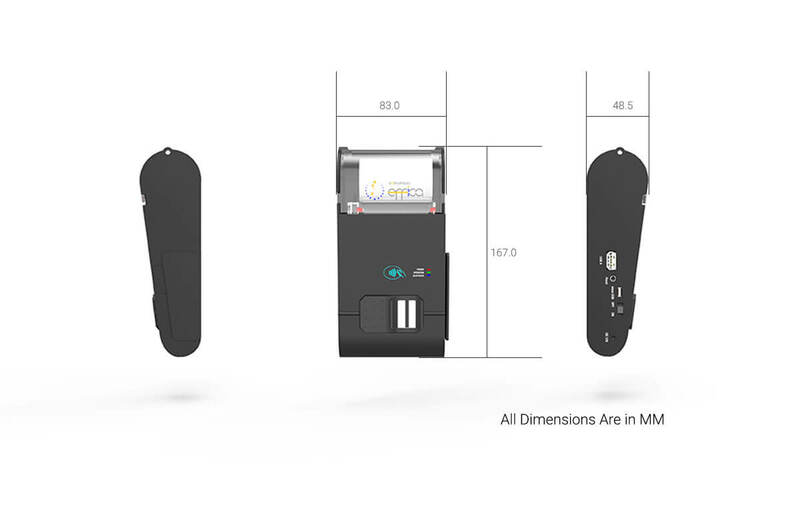 The device provides a Bluetooth interface for connecting with an Android based smart POS that is running smart apps to execute inventory management, order fulfillment, bill printing and payment collection. 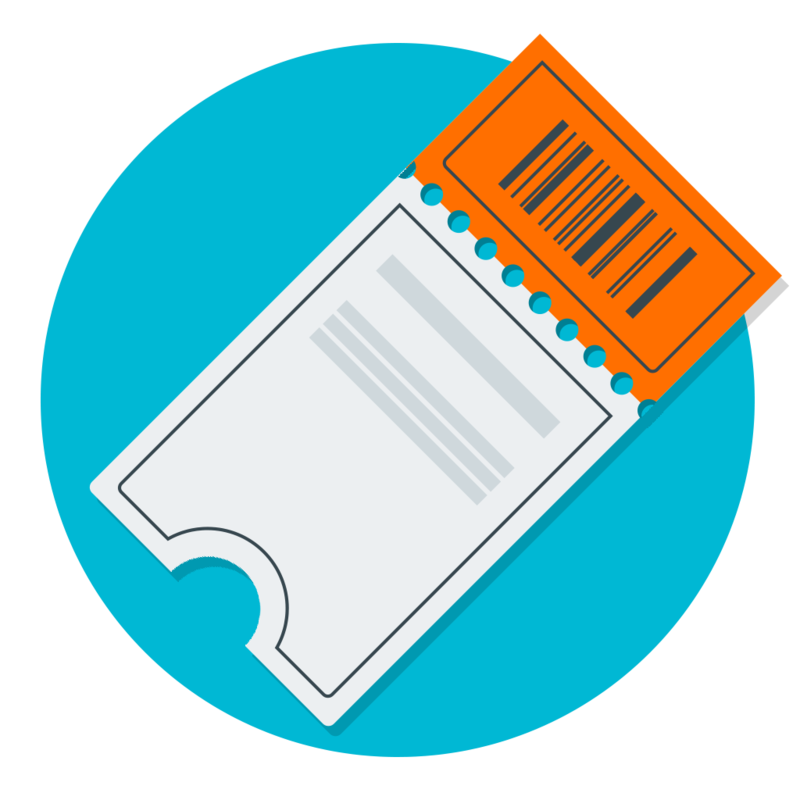 Effica Bio can be used in ticketing and queue management apps where the user’s identity has to be ascertained and a ticket has to be printed. Examples include ticketing for railways and buses where seats have to be allotted and passengers have to be validated at run time. 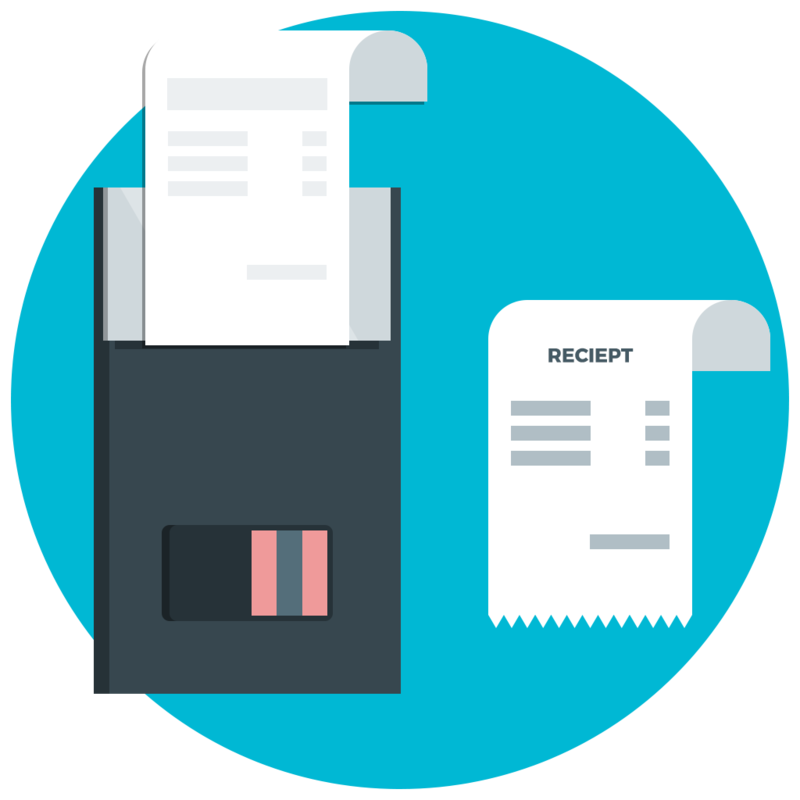 Effica Bio can be used for last mile financial services like rural banking, correspondence banking, pigmy operations, chit funds & micro finance, where the consumer’s identity has to be ascertained before the service can be dispensed and post transaction a receipt has to be printed as a proof of the transaction. Such operations may include accounts maintenance, KYC for documentation, assessing identity for credit worthiness, loan & withdrawal disbursements, subsidy disbursements, Birect Benefit Transfer(DBT), insurance payouts etc.